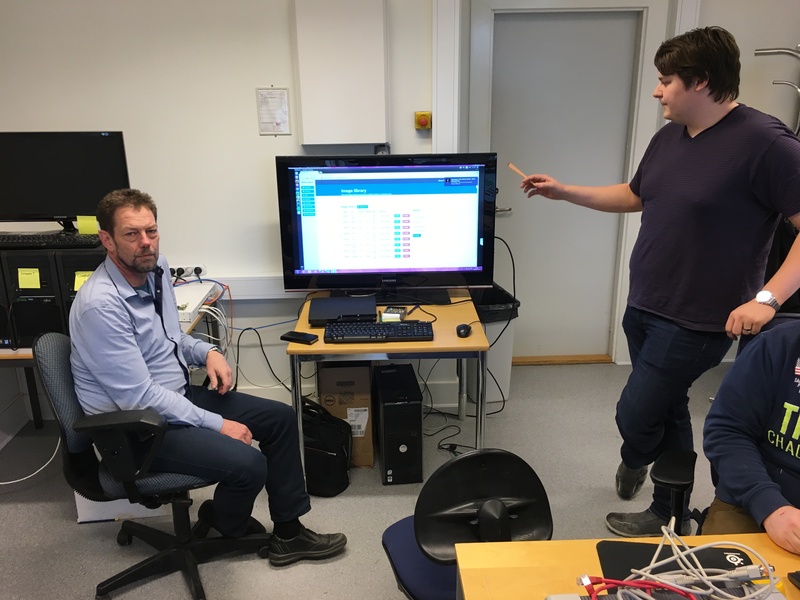 The presentation of ENGENSEC Remote Security Laboratory (ReSeLA) development took place on 30 March in Blekinge Institute of Technology, BTH (Karlskrona, Sweden). BTH students are involved to this process of development. Anders Carlsson, the general project manager (BTH) and partners from Saint Petersburg State University of Telecommunications (Russia): Andrey Krasov, the project university coordinator, and Igor Ushakov, the team leader of Advanced Network & Cloud Security course development, joined this presentation. BTH students demonstrated such ReSeLA features as possibility to work with virtual images library, visual interface of system, options to work with the Mikrotik router. The participants discussed the progress and make some advices to the development process.